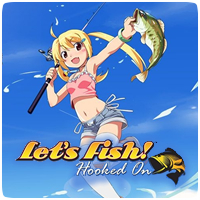 Wired Productions has released the complete trophy list for upcoming PS Vita title Let’s Fish! Hooked On. The game includes a total of 31 trophies, including the coveted Platinum trophy, five gold and and eleven silver trophies. Collected all of the stars in Challenge Mode. Weighed in a total of over 2,200 lbs. in Challenge Mode. Caught total of over 500 fish in Challenge Mode. Cleared World Tour Mode with every playable character. Acquired all of the lure types. Cleared all of the course in Challenge Mode. Weighed in a total of over 220 lbs. in Challenge Mode. Caught more than a total of 250 fish in Challenge Mode. Caught 20 super-big fish in Challenge Mode. Cleared World Tour Mode with Jamie. The True Battle Begins Now! Cleared World Tour Mode with Ryuji. Started World Tour Mode with Ryuji. Cleared World Tour Mode with Kano. Save the World with Fishing and Magic! Cleared World Tour Mode with Ai. Acquired half of all lure types. Cleared half of the courses in Challenge Mode. Play Jamie in Challenge Mode 5 times. Play Ryuji in Challenge Mode 5 times. Play Kano in Challenge Mode 5 times. Play Ai in Challenge Mode 5 times. Weighed in a total of over 22 lbs. in Challenge Mode. Caught more than a total of 50 fish in Challenge Mode. Caught 10 super-big fish in Challenge Mode. Caught your first super-big fish in Challenge Mode. Caught every type of fish in Challenge Mode. Started World Tour Mode with Jamie. Started World Tour Mode with Kano. Started World Tour Mode with Ai.